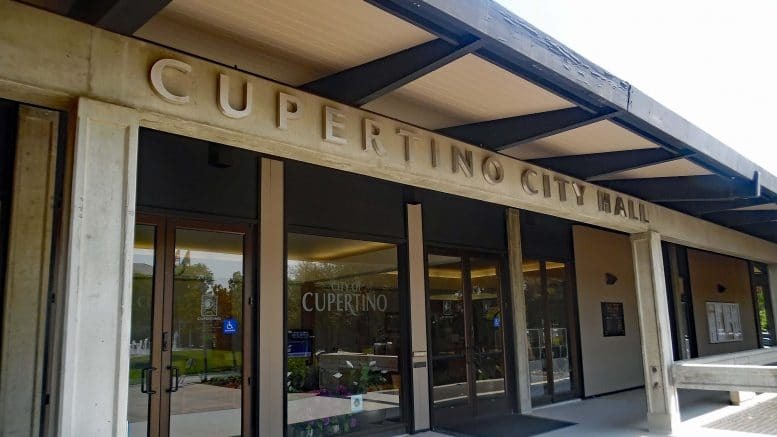 The Cupertino City Council voted unanimously Tuesday against placing an employee tax on large businesses to fund transportation needs on the November 2018 ballot this year, with members expressing a desire to further study the proposal. Council voted to defer consideration of the so-called “head tax” proposal to the November 2020 election. Council directed staff to undertake further study of exactly what transportation improvements would be funded by such a tax measure, and to consult with companies like Apple on how to best achieve desired transportation improvements through public-private partnerships. The tax measure proposed by city staff would restructure Cupertino’s business license tax system from a tax based on square footage to a tax based on number of employees. The current system is expected to generate an estimated $800,000 in fiscal year 2017-18. The two employee-based tax models proposed by staff at Tuesday’s council meeting were estimated to generate $8 million and $10 million in general tax revenue for the city, respectively. The proposals would impose a tax on companies of up to $425 per employee for businesses with more than 99 employees. The Cupertino Chamber of Commerce has echoed the need for a participatory process to develop a transportation plan with specific projects that meet the region’s transportation needs. Be the first to comment on "Cupertino council holds off on proposed ‘head tax’ on Apple, other businesses"